Visit Home and Learn – Free Computer Tutorials for a really great place to learn about web design. You should take things slowly when studying any new design course. It’s important not to try and learn too much at once. Take your time as you learn about web design and don’t be put off if at first you don’t grasp the lessons. Go back to the lesson later and it probably come easier. Many people study but many people are unaware they could study efficiently and optimize their study time . Here we will give various tips and techniques to learn how to study efficiently. We should be rested and in peak condition physically and mentally to study. This is not always possible, but we should try to maintain good eating habits, not studying Cunado are sick or weak, try not to look stressed. A good way to study if we are stressed is relaxation exercises prior to clear your mind. Find yourself a suitable place where you can stay focused and quiet 100% focused on your task of studying, studying in a little-visited park in the light of the outdoors is a good option to be clear, studying public transport is not a good choice: your eyes will be ruined and the constant flow of people distract you. Study in a comfortable place, trying to take advantage of natural light, studying in a place where you have space to have your notes sorted, etc. This is very important, you must have clear ideas, it is useless if you study study does not motivate you, not because you love … and it will cost you more time. Trust yourself, trust your mind which is what gives you that incredible ability to study. Try to study every day (aunquesea do rehearsals), is much easier to study a little bit every day to study all together in one day. Do not let the pressure of having to study everything at the last minute before an exam, be smart, do not leave for tomorrow what you can do today. If you need a relaxing time to study take it, you’re not a machine, sometimes you need to continue studying after despejarte. Generate your own discipline of study and do not let your friends or anything else interrupt, but not lock yourself in the studio, remember that you are a human and not a machine to study efficiently. 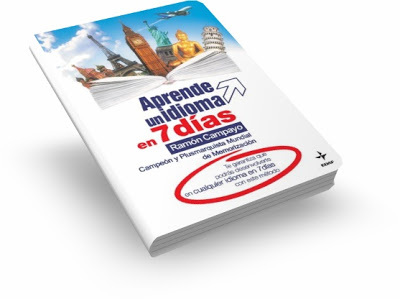 I read Ramon Campayo’s “Learning a language in 7 Days”. Great. After reading it, one wonders: why not teach it in all schools? While universities and schools are accumulation of knowledge these methods leave much to be desired. A better option is to be self-taught. Ramon Campayo is originally from Spain, famous for winning over and over in the memory championships of many countries. and maybe 4. The script language if this is very complicated and different from ours. HOW TO HANDLE THE PURCHASE OF NEW VOCABULARY: Fundamental create tables that will have four columns. In the first column of the words will language you want to learn, in the second column the pronunciation of that word figuratively using the alphabet that is more understandable to the student of average (international phonetic systems uncomplicated, but in our case: the Spanish alphabet), in the third column the our language translation of the foreign word. And in the fourth column … this is what makes the difference to any other method we’ve seen before to learn languages ​​in the fourth column write a mental association of images that gets that word not ever forget us. Since learning a language, plus the grammar should be acquired vocabulary, Campayo makes the observation that vocabulary is actually a cluster of “raw data” and therefore can be handled as such, using their memory techniques. Campayo gives greater importance to the acquisition and initial vocabulary grammar putting off, or rather, letting grammar gradually emerge. The Campayo method is ideal for individual or group study. Following the pattern of the book, the use of a tutor may be valuable but not essential, and it is recommended that can be useful when one is already somewhat “soggy” language that interests you. equal in traveling to a country where they speak the language that interests us: it is recommended that once dominated the basis of language and not whether one is “zero”. Campayo released another book, a adaptation based on the method by applying it to learning English, the book is titled “Learn English in 7 days” and may be of interest for both books (Learn a language in seven days and this other book) can serve as a basis for creating methods and courses for any language in a simple and very practical. Both books, in the end, makes criticism Campayo education systems of countries not update and reinvent, even the Royal Spanish Academy, for inconsistencies. (All these observations seem accurate). If it took many years to learn to speak in our own language properly, why should it be less difficult to learn a new one? Especially one that is quite complicated. Everyone learns at their own pace, although many studies claim that those who do not have public equivocation learn faster, as opposed to those who prefer not to speak for fear of ridicule ¨ ¨. And the truth is that the mistakes we make and the challenges we face are almost always the same. That means we are hundreds, thousands! Error 1: Think of Castilian. It is natural that one can not help but think of his own language, but we must not make the effort to get used to it all the time. The mistake we comment to start learning German is translated word by word instead of learning each concept without having to look in the dictionary have to get into his head that this thing called round red apple rather Apfel. As you progress, you will start thinking Deutsch. Only then will we truly internalized and therefore learning the language. 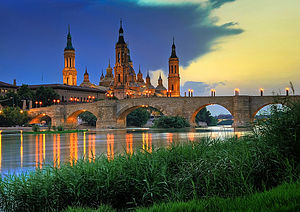 Error 2: Articles Unlike the Castilian, which has only two types of items defined for nouns, the German language has three: der, die, das (masculine, feminine and neuter respectively). There are no rules that apply to 100% to see what goes with what substantive article. The few formulas that there are exceptions. So it’s best to learn each noun with the article that corresponds, not only to avoid the grammatical error, but also because it may change the meaning of the word. Error 3: Cases If I was wrong in the class of Spanish / Castilian in school, you’ll suffer with the theme of “cases”. The Case (nominative, accusative, dative and genitive) in German usually indicates an inflection, which is generated by placing various articles and adjective endings. The change depends on who is performing the action, to whom and all that. Ugh. Error 4: The order of the words In German, the subject does not always go first in a sentence. We put it basically where we feel like it, but in German position is subordinate to that of verb conjugation and depends on lots of other grammatical entanglements, in many cases, make the issuer talk like Yoda. Why we insist: do not translate literally if they want help thinking that the Germans are all crazy, we, are, but best not to think about it. Error 5: Prepositions The bane of many. Too, its literal translation is not always so can not be used for anything you think might be used and in some cases, serve two totally different things. To mitigate the torture, it’s best to learn each verb with the preposition and as rightful. Error 6: The ‘umlauts’ The umlauts, those two dots that you place some German vowels (ä, ö, ü), can bring problems. One word can completely change its meaning if it brings them or not, so you better pay attention to the teacher when he tells us to practice in the mirror. At first it’s embarrassing, but after you get used to playing dumb for life. Error 8: Shift German is the only modern language in which the subject is capitalized, but due to a recent reform, until the Germans themselves have doubts about certain words that are supposed capitalized, but no longer as this reform. Error 9: Verbs with ‘haben’ or ‘sein’ To speak in the past tense, the Germans use two auxiliary verbs: haben and sein (have and be / be). What moves used sein and haben not moving, but when you eat no movement (Ich habe gegessen) and when one “is” – in the existential sense of the word, sometimes moving and sometimes does not move (ich bin gewesen). So the best thing: learn the past perfect verb together with its auxiliary verb. Verbs used sein not many. Error 10: question it all Forget to ask your professor why this rule is so or why that word is in such a place. The usual response is “because.” Just remember everything by heart and practice. Later there will be more difficulties and as your German improves, will appear more complex grammatical forms, longer words, and so on. The torment never ends. So why complicate your existence from the beginning? The University of Alicante offer, for the first time, Persian language courses. The Persian language, which is now an official language in Iran, Afghanistan and Tajikistan, has large communities of speakers in India and Pakistan and across the world. The Iranian Seminar of the University of Alicante with the support of Iran’s Cultural Ministry, in its efforts to develop the study of language and Iranian culture, starts – for the first time – the launch of the courses “Introduction to the Persian language 1 “and” Persian Language 2 “. Under the direction of a Professor of Arabic and Islamic Studies at the UA, Jose Francisco Cutillas Ferrer, the courses will be developed from September to December 2012 and are recognized with 4 credits CECLEC. The study and development of the Persian world in the AU has been producing fruit. The Seminar on the AU Iranología emerges as an academic space for the dissemination of ideas, ongoing research, and projects, or activities that raise awareness of the culture and civilization of the Persian world. The University of Alicante in February hosted the Second Meeting of the Spanish Society of Iranología, which had the participation of specialists from the world renowned pre-Islamic, Central Asian and Persian classical world. Persian is an Indo-European Indo-Iranian branch that has been widely circulated throughout history in Iran (place whence arose), Central Asia and the Indian subcontinent. It is the only Iranian language with a spread so wide and the only one that became a lingua franca ancient literature that still remains today appreciated as one of the greatest of world literature. 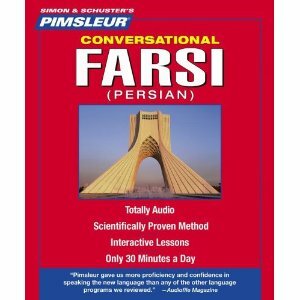 Persian language courses are aimed at all those who wish to approach the world of iranología from related fields, such as the case of students majoring in Classical Philology, who wish to broaden their knowledge of the Indo-European language, or those of Arabic Studies or History is interested in that, no doubt, the second language of Islam. Welcome to Spirita Web Design. Here you will find everything you need to know as you learn about web design. When we decided to start the web site, we soon realised that there were many people search for learn about web design but this phrase means very different things to different people. For some simply learning about the way web design work is enough, they have no intention of actually doing it. For others they may simple want the basics. For those who feel a bit more adventurous, they want want to learn about web design using Expression Web or even get into CSS Web Design Tutorials. Whatever your need, we hope we can help you learn about web design. Website Design Tutorials. The use of colours, content, graphics, navigation and Web style all work together toward creating an effective Website. Learn about Website design and you will be able to answer these questions: What colours do you want to use? How do you keep the look of your site consistent? Why content is so important? What graphics should you add? How will visitors navigate your site? How can you layout your pages? Visit Free Computer Tutorials for a really great place to learn about web design. Here you will find the basics helping you to learn the ‘language’ of web design.Learn about Expression Web Design. Free CSS Web Design Tutorials. Free CSS Tutorials. Cascading Style Sheets (CSS) is a fantastic tool to add layout to your web design. It can save you a lot of time and it enables you to design websites in a completely new way. CSS is a must for anyone working with web design. Learn about web design and try and CSS web design tutorials. Theywill get you started with CSS in just a few hours. Expression Web Design. Expression Web Design is the latest software from Microsoft replacing FrontPage. Expression Web offers all the simple “what-you-see-is-what-you-get” tools for creating a Web site along with some great new features for working with Cascading Style Sheets and other Expression Web design options. Microsoft Expression Web is supposed to show the easy way for first-time Web designers, but for myself, an experienced FrontPage user, I found it time-consuming to get results with Expression Web Design. Basic Web Design Courses. Some of you will have enough experience to jump straight into the above web design tutorials but for most of you, what you will find useful is a basic web design course. 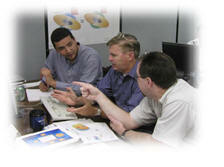 Visit of page Basic Web Design Courses if you want to look for local web design courses in your area. Also on the basic web design course page, we will add tutorials to help you master the basics online without the need to book a course. Spirita Web Design has many opportunities to come across sites offering Free Web Hosting especially those offering Web Hosting UK. Please take the time to visit these web design and hosting companies and see if they can offer what you are looking for as you search for design and hosting companies that need your web needs. Of course, no web design and hosting package would be much good without SEO. If you haven’t given this are much thought, now would be a good time to Google SEO or to give it it’s full name Search engine optimisation. It’s a very important aspect of setting up a website. And finally, for those thinking about Content management may we suggest this site could be useful to you. Here you have a one-stop information resource for people looking to evaluate, benchmark, compare and source enterprise/web content management and document management solutions.